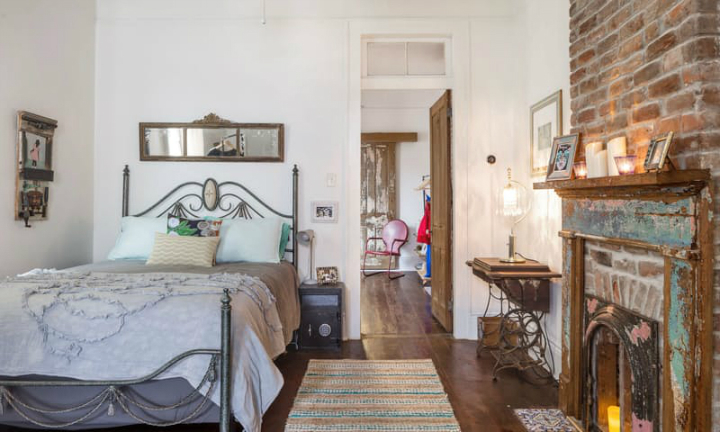 Most homeowners want their homes to be an embodiment of their character. 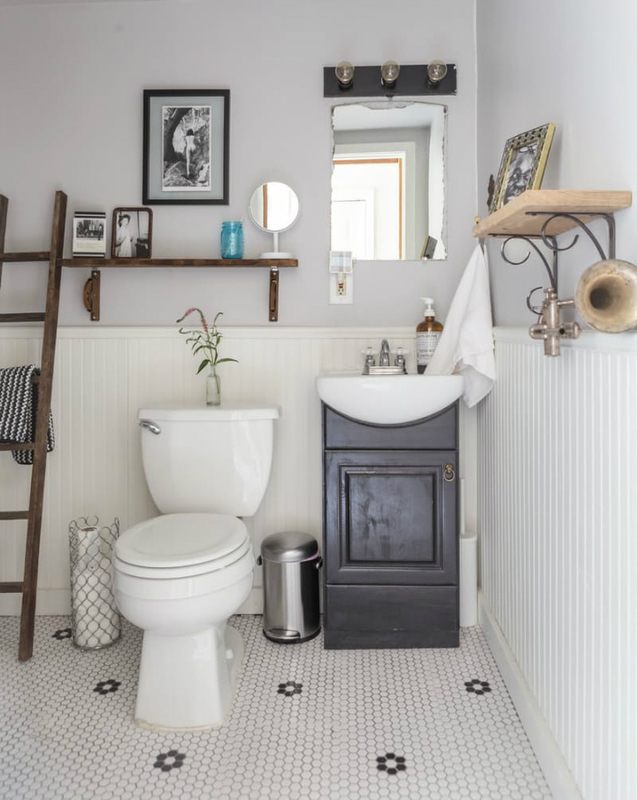 New architectural designs or remodeling projects as such, often borrow a lot from the traits that these homeowners consider innately authentic. 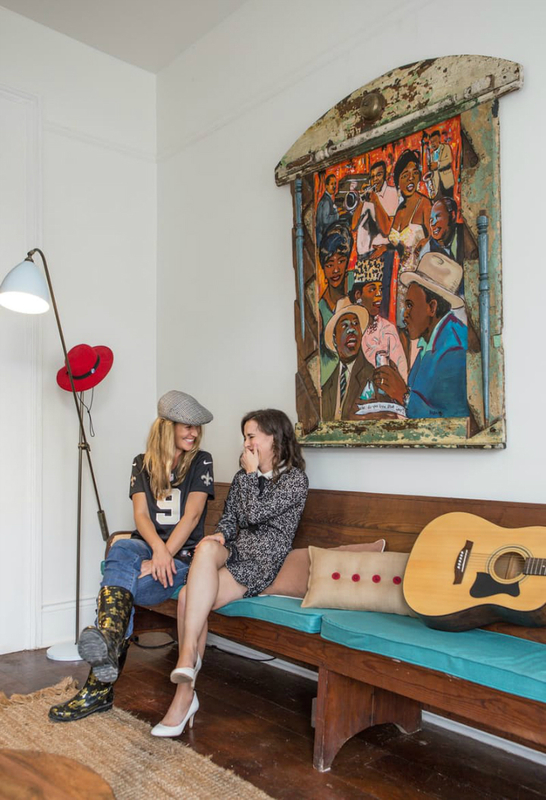 This perhaps is the reason Breeze Braunschweig and Lauren Wells’ 1600 square foot abode in New Orleans screams of vintage charm with a dash jazz, which is fittingly apt considering the rich musical heritage of Crescent City. 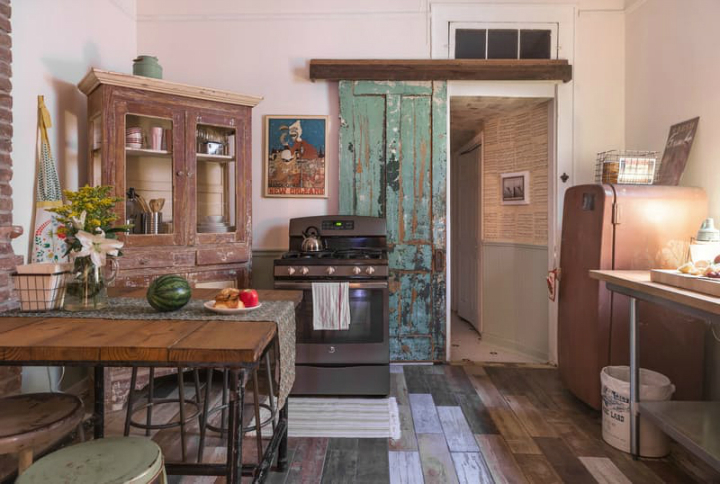 Initially featuring a double shotgun design, the house now brags of bohemian warmth following a remodeling exercise that simply brought down built out closets, leaving in its wake, authentic and textured brick walls, resurfaced ceilings and repointed chimneys. The result is almost mythical, like a scene from a movie set in the eras long gone. 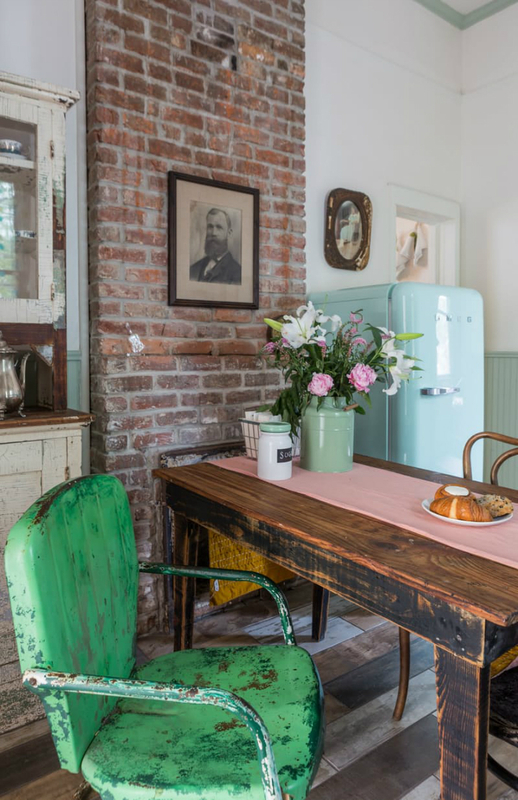 Décor and furnishing is a subtle combination of flea market gems, Craigslist listings and old era pieces of furniture that bring to life, a sense of happiness, warmth and even romanticism. The shotgun duplex looks great on the outside, especially the color play that combines blue, yellow, some bit of white and pink hue. The furnishings on the living rooms are minimalist but very creative. Take the room-long church pew for instance; it is authentically south but very creative in its positioning. This combined with the comfortable opposing sofa with its colorful serape cover and round coffee table complete the furniture set in this living area. 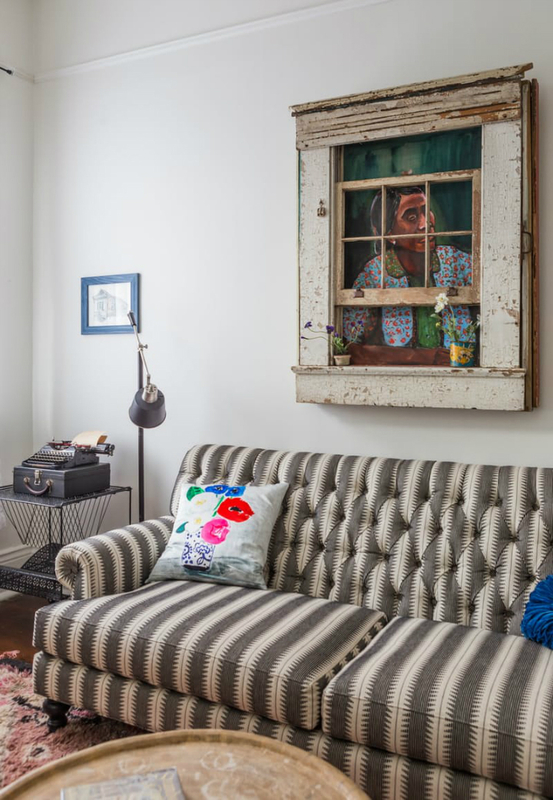 The handwoven rug and the hanging artwork on the wall, create a vintage charm that these two homeowners sought to bring to life. 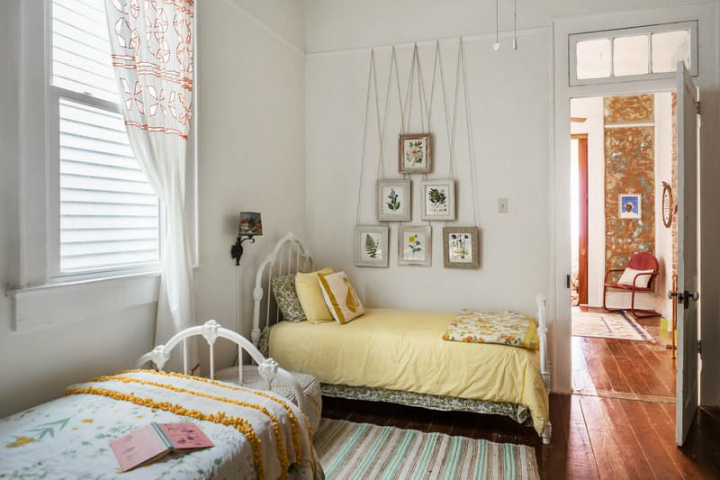 While all the other rooms still feature the bare brick walls, the living room has gleaming white walls that make the most of the colorful textile draperies, furnishing s and artwork. This brightness enhances the shiny nature of these pieces of décor. 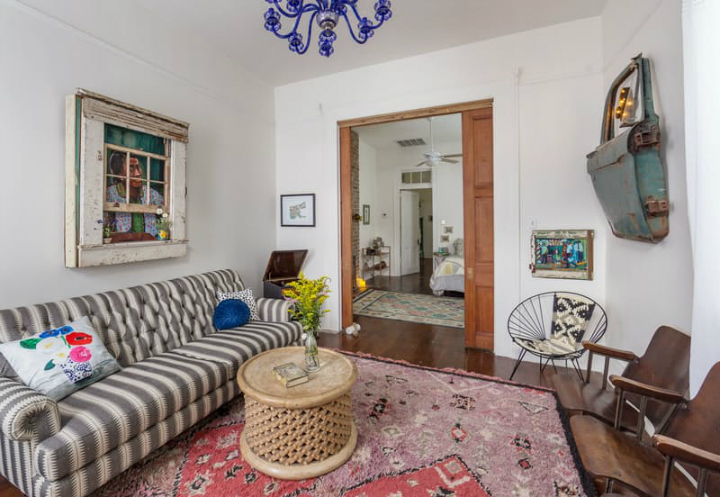 The living room also features a retro-style player whose color blends so well with the overall vintage look that characterizes the house. 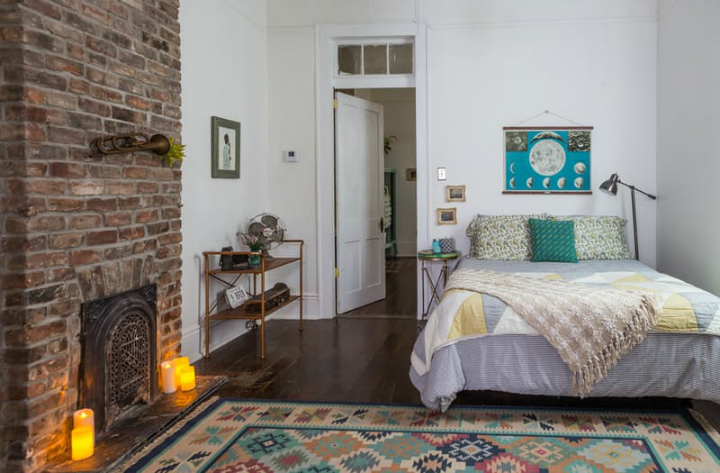 Every side of the duplex shotgun houses two bedrooms, each with an antique metal bed with very cozy bedding. 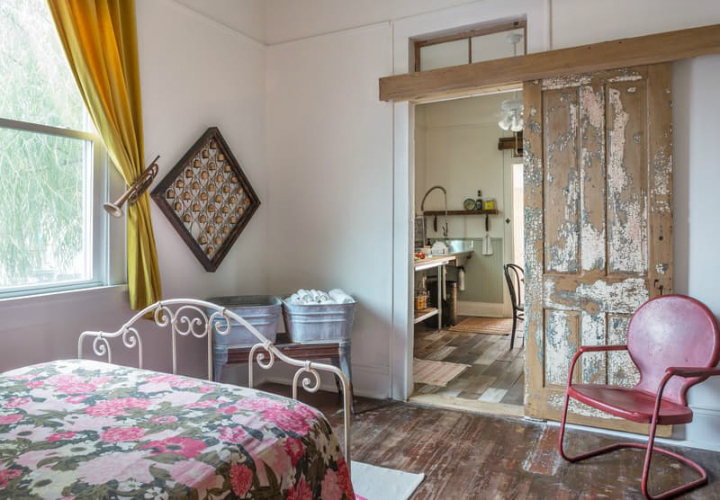 The highlights of these bedrooms however are the combination of their old era fireplaces and the reclaimed barn doors that add a sense of style while maintaining the overall vintage scheme. This is so especially because the old era bedding in the bedroom and the towel holds, paint a scene of generations long gone. Fixtures in the kitchen are in keeping with the overall scheme. 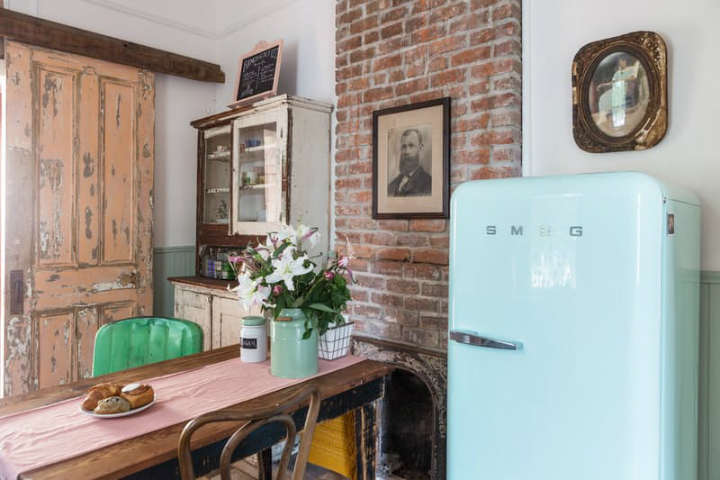 The O’Keefe and Merritt gas range from the 1950s dominates the cooking area while a SMEG refrigerator completes the opposite wall. These oldies do complement the barn-style outdoor chairs that populate the eating area. There is a lot to love about this duplex shotgun. 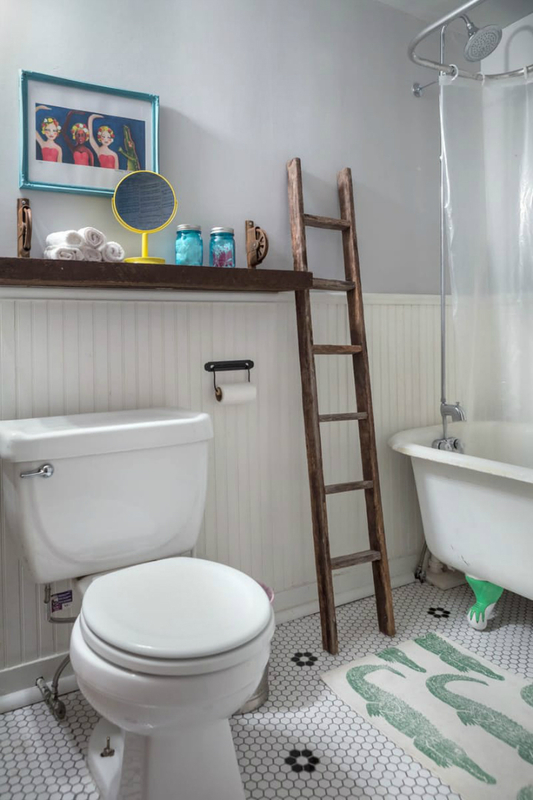 Importantly though, is its simple design, unique reclaimed fixtures and brilliant use of features like sliding doors that really save on space. 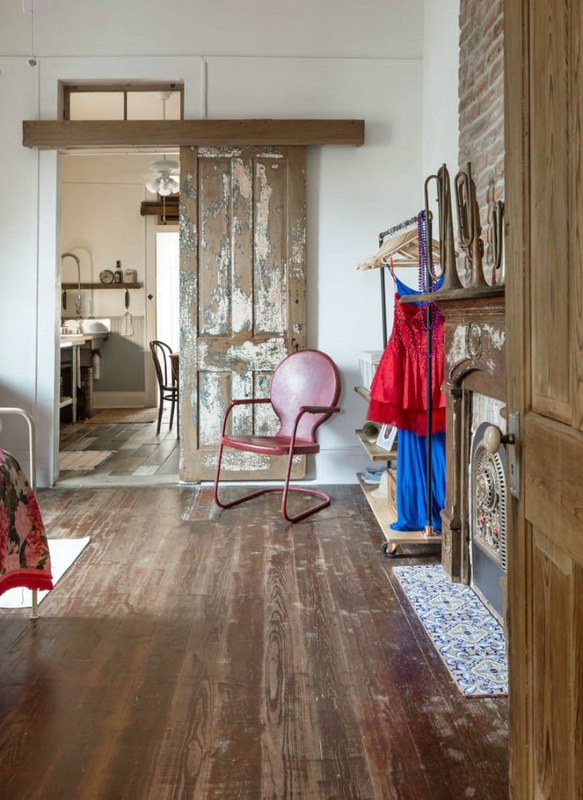 This home is simply inspirational.